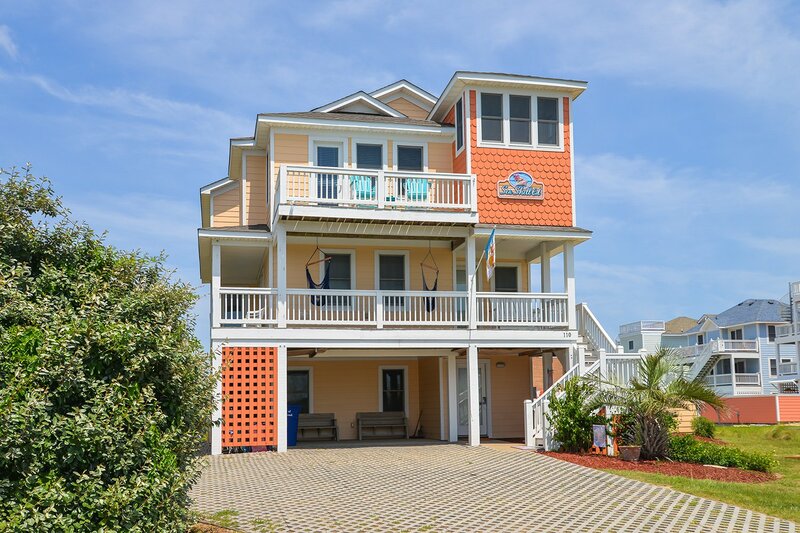 Address: 110 E. Finch St.
"SeashellED" is an exceptionally well-equipped & beautifully decorated vacation home located in Nags Head. 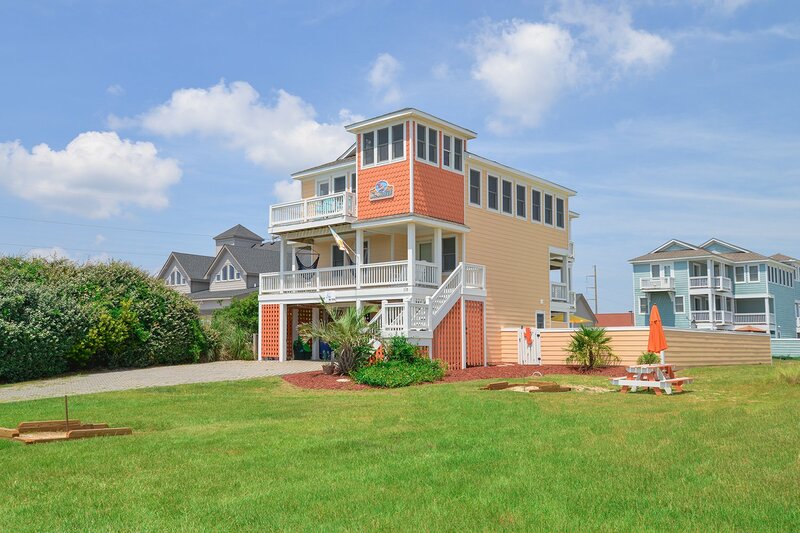 Loaded w/ upgraded features that include hardwood floors, tiled baths, stainless steel appliances, & plenty of room to relax, this home has been designed w/ your vacation enjoyment in mind. Your family is sure to be thrilled w/ the views that stretch from Ocean to Sound & the long list of amenities that include your own Private Swimming Pool (Can Be Heat for $300.00 Per Week - Please Bear in Mind That Pool Temperature is Subject to Outside Temperatures & Conditions), Hot Tub, Game Room w/Foosball & Video Arcade Games. There are multiple furnished decks, a ship's watch & a nicely landscaped yard & pool area w/ horseshoe pit & picnic table. The Beach is a short, approximately 350 Ft., walk away through the Private Pebble Beach Homeowners Association Beach Access located at Forbes Street. From "SeashellED" you can walk to several restaurants, an ice cream shop & of course, the Beach. 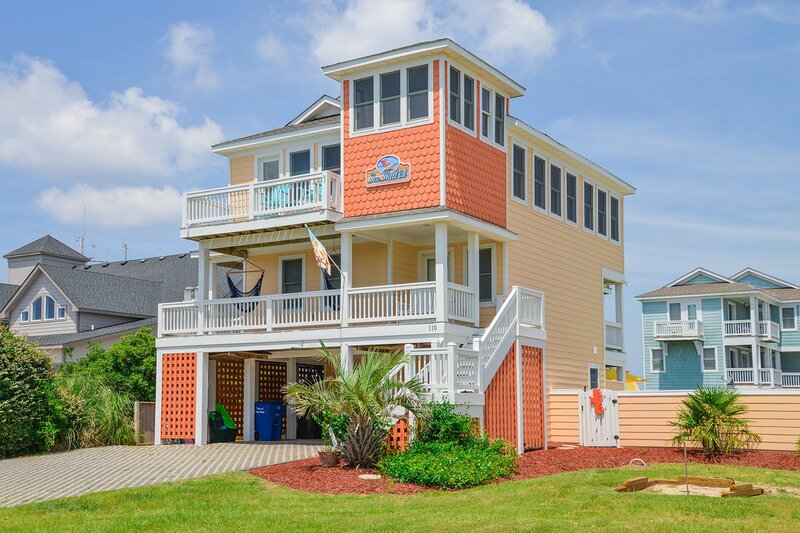 There is a bike path that runs along the Beach Road in Nags Head & the home is also convenient to the Tanger Outlet Mall, The Outer Banks Mall, the North Carolina Aquarium at Jennette's Pier, the Oregon Inlet Fishing Center & the Manteo Waterfront. 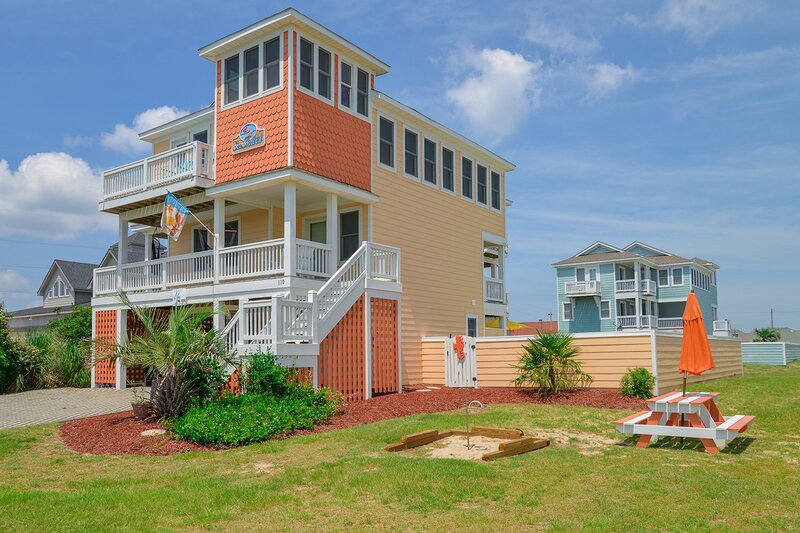 This home has so much to offer & is a can't go wrong vacation choice. Ground Level: Parking for 5 Cars, Covered Entry, Rec. Room w/Foosball, Arcade Game, Wet Bar, Mini Fridge, Flat Screen TV, Half Bath, 2 Bedrooms (1 w/Duo Bunk & Flat Screen TV, 1 w/Queen & Flat Screen TV), Shared Full Bath, Access to Patio Area w/Table & Chairs, Enclosed Outside Shower, 6 Person Hot Tub, Private 10x17 Swimming Pool (Can Be Heated for $300.00 Per Week - Please Bear in Mind That Pool Temperature is Subject to Outside Temperatures & Conditions), Pool Furniture, Horseshoes, Picnic Table, Gas Grill, & Horseshoe Pit. Mid Level: 3 Bedrooms (1 Master Suite w/Queen & Flat Screen TV, 1 w/Queen, Flat Screen TV, & Deck Access, 1 w/King, Flat Screen TV, & Deck Access) Shared Full Bath, Laundry Area, & Wrap Around Covered Deck w/Deck Furniture. Top Level: Great Room w/Sectional Sofa, Large 43 Inch Flat Screen TV, Blu-Ray/DVD w/Surround Sound, Pac Man Video Machine, Deck Access, Kitchen w/Stainless Steel Appliances, Bar Seats 3, Dining Table Seats 8, Deck Access, Game Table Seats 4, Captain’s Watch w/Seating, Slot Machine, Mini-Refrigerator, & Ocean View, 1 Master Suite w/King, Flat Screen TV, & Sun Deck Overlooking Pool Area w/Deck Furniture. Features include: C/AC & Heat, Washer/Dryer, Dishwasher, Microwave, Phone, Wireless Internet, Multiple Flat Screen TVs, DVD, & 2 Whirlpools. No Pets. This is a Non-Smoking Unit. One of the nicest beach houses we have ever stayed at.